Crosstown Mortgage Corporation aims to identify customers’ needs and providing advice that is customized to their particular financial circumstances. H&R Block is committed to making your tax experience the best it can be. From year-round support to guaranteed pricing, the H&R Block Advantage will make your tax time a lot easier. Pam Reynolds is a mortgage agent and debt management specialist with 25 years of experience. and works with Reynolds & Associates. In the past, Pam has worked with the University of Toronto but is now a full time mortgage agent and also actively involved with the JCA. (Jamaican Canadian Association), a charitable organization where she is presently Membership Chair, Membership Services Committee. 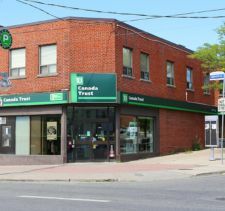 TD Bank Group offers a full range of financial products and services.